"DID YOU KNOW THAT PEOPLE ARE SERVING TOFU INSTEAD OF TURKEY THIS THANKSGIVING? "; DON'T BELIEVE EVERYTHING YOU READ ON THE INTERNET. 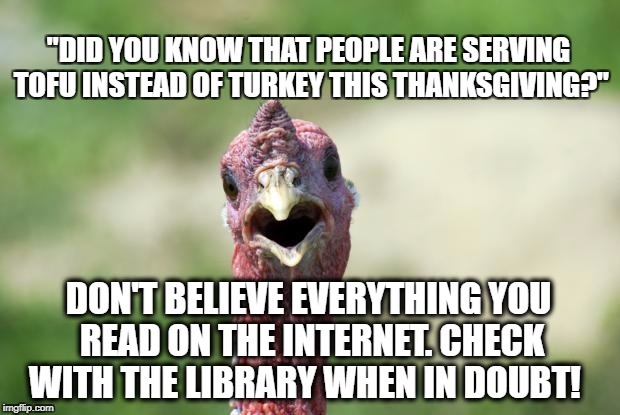 CHECK WITH THE LIBRARY WHEN IN DOUBT!